The gallery is excited to present an artist led panel and discussion event, taking place Saturday June 3rd from 4-6pm in Los Angeles. Join the show’s curator, Andrew Schoultz, for a panel and discussion about the work and the current Los Angeles art scene. The event will be hosted by artist, Zak Smith and is sponsored by Artillery Magazine. The panel will feature artists, Claire Collette, Patrick Martinez, Kenton Parker, and Adam Beris. 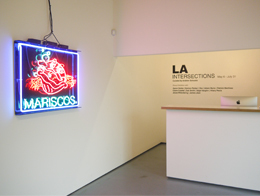 With the opening of our group exhibition LA Intersections this week, there have been a few mentions on various platforms. In conjunction with our group exhibition LA Intersections, show curator Andrew Schoultz has completed a monumental mural that will permanently adorn the outside of our Los Angeles gallery. Aaron Noble, Kenton Parker, Zes, Adam Beris, Patrick Martinez, Claire Colette, Zak Smith, Sage Vaughn, Hilary Pecis, Jesse Willenbring, and James Jean. The exhibition is on view May 6 – July 31, 2017. Presented for Speedy Graphito‘s solo exhibition, “An American Story”, film-maker Thomas Granovsky followed the artist during the creative process behind Speedy’s latest show at our Miami gallery. 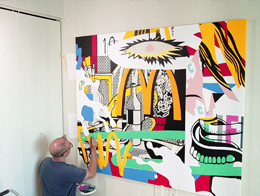 The film includes an indepth interview with the artist, where he speaks on his work and his newest series of paintings. The exhibition opened on February 19, 2017, and will be extended until May 13. Fabien Castanier Gallery is excited to announce our upcoming dual exhibition, Rubber Time, featuring work by Andrew Schoultz and Mark Jenkins. Both artists will present new work, paintings and sculptures. To read more about the exhibition and the artists, Click Here. Taking place Saturday, April 22nd @ 6:00-10:00pm, the gallery will have a screening of “An American Story” a short documentary on Speedy Graphito’s exhibition, an Art Talk with Sebastien Laboureau (Art Advisor) and then a closing reception with drinks and music. Fabien Castanier Gallery is excited to have a special meeting and tour with our artist, Mambo, for his solo exhibition at our gallery “LINKS” on Saturday, April 15th @ 2pm, for World Art Day. The event/tour is organized in association with Cartwheel Art. In honor of this worldwide celebration, Cartwheel Art has partnered with IAA USA, the newly formed U.S. chapter of the IAA headquartered in Los Angeles. Last year’s programming from Cartwheel Art included art tours of the Downtown Los Angeles Arts District and Historic Filipinotown, as well as the pre-film screening of the film Dark Progressivsim, and a talk with the filmmakers and artists in the film. 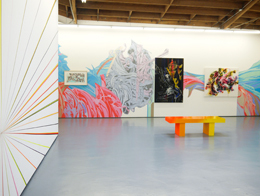 For this year’s programming, we are presenting a FREE self guided tour of special gallery experiences organized by Cindy Schwarzstein, occurring throughout Los Angeles, on Saturday April 15th from 12pm – 6:30pm. Participating galleries: Brand Library & Art Center, C.A.V.E. Gallery, CB1 Gallery, CES Gallery, Chung King Studio, Coagula Curatorial, Corey Helford Gallery, Durden & Ray Gallery, Eastern Projects, Fabien Castanier Gallery, Gabba Gallery, Gallery 30 South, Gregorio Escalante Gallery, Hauser & Wirth, KP Projects, LAUNCH LA, The Loft at Liz’s, Ren Gallery, The Good Luck Gallery, Thinkspace Gallery, Think Tank Gallery. Fabien Castanier Gallery is very excited to announce our upcoming group exhibition, featuring eleven different artists from the Los Angeles area. The show, LA Intersections is curated by L.A. based artist Andrew Schoultz, who has assembled a diverse roster of contemporary artists. The exhibition represents a tableau of the L.A. art scene – a unique presentation of today’s cutting edge image-makers. From graffiti to surrealism and abstraction, to sculpture, installation and works on canvas, LA Intersections will be an immersive experience and a cross-section of the Los Angeles cultural landscape. Visit our exhibition page to read more about each artist. Fabien Castanier Gallery is excited to announce our first 2017 Los Angeles show, LINKS, a solo exhibition for French, now L.A. based artist Mambo. Since moving to Southern California in 2011, the artist has created a body of work that has never been shown until now, highlighting paintings, works on paper, three-dimensional pieces, and a special installation. LINKS will present a selection from Mambo’s “Brainology” series, work that derives its aesthetics and conceptual foundation on the complexities of the brain and by extension, the mind. Always fascinated by the brain as a biological function, Mambo also seeks to explore the more symbolic reflections of synapses we see in the world around us: the ecosystem, the social fabric, the internet, and more generally the systems of connection between people, planets, and atoms… the links that bind everything together. Visit the exhibition page to learn more. The opening of Fabien Castanier Gallery’s new space and exhibition will coincide with the 2017 Art Wynwood art fair and the Miami International Boat Show, both taking place February 16-20. Fabien Castanier Gallery will be exhibiting at Art Wynwood, showing work by Speedy Graphito on our booth. Fabien Castanier Gallery is excited to participate in the 2017 Art Wynwood art fair, taking place February 16-20, 2017. The gallery will showcase work from Speedy Graphito (FR). 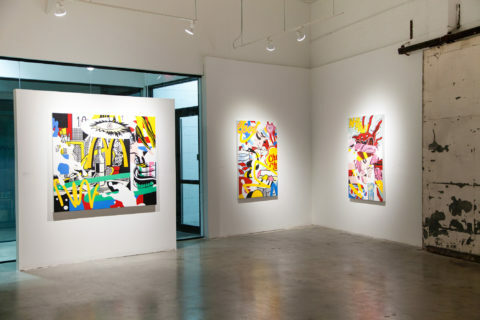 Art Wynwood reflects the dynamic environment of Miami’s burgeoning Wynwood Arts District, which over the last decade has gained international renown as the hub of South Florida’s contemporary art scene. Graffiti artists from all over the world grace the walls of this edgy neighborhood with vibrant, provocative murals that set an energetic tone for the increasingly diverse galleries, restaurants and shops lining the sidewalks. This openness to new ideas and images is represented at Art Wynwood, which highlights street art, murals, pop surrealism and other genres from the current underground movement. Art Wynwood offers the art enthusiast and seasoned cultural traveler alike a unique opportunity to discover, explore and collect one of the most significant art forms of our time. By presenting these cutting-edge works in a refined atmosphere among a broad range of mediums and styles, Art Wynwood is perfectly positioned to advance the growing worldwide recognition of this movement. While Art Wynwood has its own distinct identity and design, it shares the commitment to presenting the highest level of art from the 20th and 21st centuries in an elegant yet accessible environment that is a hallmark of all the fairs in the expanding Art Miami family. Fabien Castanier Gallery is excited to participate in the inaugural Palm Beach Modern + Contemporary art fair, taking place January 12-15, 2017. 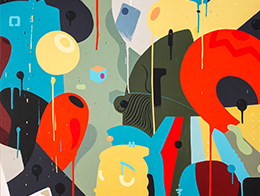 The gallery will showcase work from Speedy Graphito (FR), JonOne (FR/US), and Fidia Falaschetti (IT). 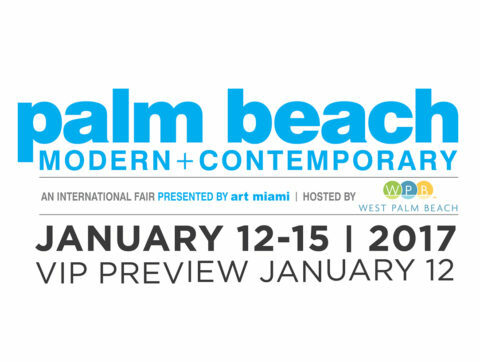 Palm Beach Modern + Contemporary (PBM+C), presented by Art Miami, hosted by the City of West Palm Beach and sponsored by Christie’s International Real Estate, will make its debut at West Palm Beach City’s Tent Site between January 12th and January 15th. PBM+C will take place within the intimate and modern setting of a 65,000 square foot clear span pavilion centrally located between City Place and the new luxurious 300 room Hilton West Palm Beach at Dixie Highway and Okeechobee Blvd. 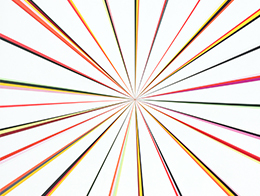 Collectors, art connoisseurs and art world luminaries alike will have the opportunity to acquire investment quality Blue Chip contemporary, Post-War works from 60 top international galleries from as far as Japan, United Kingdom, France, Germany, Canada, The Netherlands, Portugal, and Venezuela. Fabien Castanier Gallery is proud to announce a number of exciting ventures during this year’s Art Basel Week in Miami. 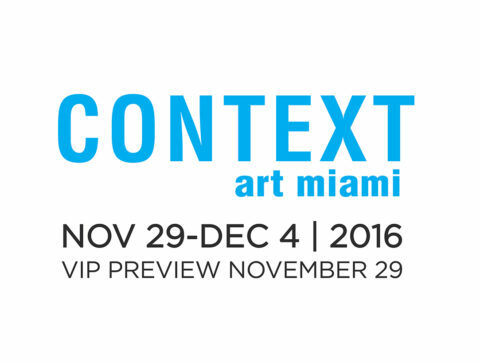 The gallery will participate in both the Art Miami and CONTEXT Art Miami fairs, both taking place November 29 – December 4. 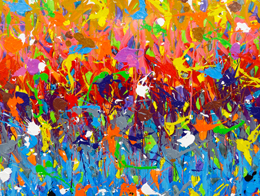 At the Art Miami fair, the gallery will showcase new work from artists JonOne (US/FR) and Speedy Graphito (FR). This will be the first time the gallery has exhibited at the Art Miami fair. For its sister fair, CONTEXT Art Miami, the gallery will feature work by Fidia Falaschetti (IT), Mark Jenkins (US), Luke Newton (UK), Thomas Canto(FR), Camilo Matiz (CO), and Andrew Schoultz(US). This will be the fifth time the gallery has returned to participate at the CONTEXT fair. CONTEXT is committed to the development and reinforcement of emerging and mid-career artists. 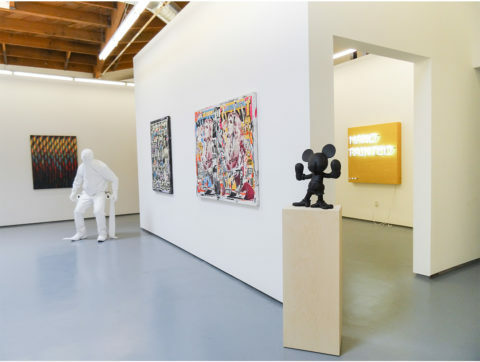 The fair’s open atmosphere creates a meaningful dialogue between artists, galleries and collectors while providing the ultimate platform for established and emerging galleries to present cutting-edge and new talent. The fair will take place in a standalone 45,000-square-foot pavilion one block north of the Art Miami Pavilion at NE 1st Ave and NE 34th St. The gallery has complimentary passes for both art fairs, please contact us for more information. Please RSVP for the Book Signing Here. Join the artist to celebrate the launch of his book, JonOne: The Momentum of Color – an event held in collaboration with The Sagamore, the luxury hotel and cultural centerpiece in the heart of South Beach. The book signing will take place during Miami’s Art Week, coinciding with numerous art fairs and exciting cultural events. JonOne: The Momentum of Color is a never-before-seen compendium of the artist’s work since 2012, featuring the paintings he completed for his U.S. exhibitions at the Los Angeles based Fabien Castanier Gallery. This 168 page volume includes full color images of JonOne’s paintings from his three solo shows, “A Beautiful Madness,” “West Side Stories,” and “Urban Legacy”. With an introduction by Fabien Castanier, and an essay and in-depth interview with the artist by Megan Abrahams (LA based writer, art critic, and artist), the book presents a look into the urban contemporary artist’s inspirations and history. The book is designed and published by the Fabien Castanier Gallery, and will be released during Art Week Miami. To reserve your copy of the book, contact the gallery. 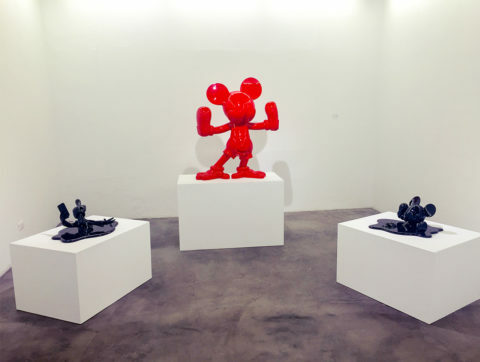 Fabien Castanier Gallery is excited to host a very special exhibition in Wynwood to celebrate Miami’s Art Basel Week. The show, which will highlight our international stable of artists, is curated by Fabien Castanier and will be on view December 2, 2016 – January 31, 2017. The pop-up exhibition is located in the heart of the arts district, only three blocks from the Wynwood Walls. 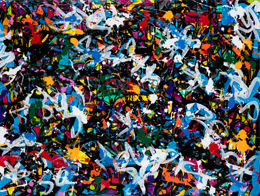 Fabien Castanier Gallery is excited to present, in collaboration with The Sagamore Hotel, an artist’s book signing for JonOne and his newest book, The Momentum Of Color. The book is designed and published by the Fabien Castanier Gallery, and will be released in December 2016. To celebrate the launch of the book, there will be a book signing at The Sagamore Hotel, the luxury hotel and cultural centerpiece in the heart of South Beach. The book signing will take place during Miami’s Art Week, coinciding with numerous art fairs and exciting cultural events. You can reserve your copy of JonOne: The Momentum Of Color by contacting the gallery. Visit the Castanier Gallery Store or email us directly at contact@castaniergallery.com. 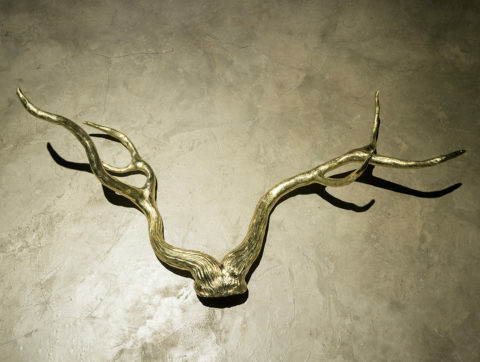 Fabien Castanier Gallery is proud to present our next solo exhibition in our Bogotá space, “El Venado de Oro,” featuring new work from noted Colombian artist, Miler Lagos. Lagos will present installations, drawings and sculptures for his show, which will draw inspiration from the landscape and mythology of his native Bogotá. Lagos is one of the most prolific contemporary artists from Colombia, showing in galleries worldwide as well as in private collections and cultural institutions, including a number of international Biennales. Most known for his monumental multi-media installations, Lagos will explore the role that the rivers and waterways played in the formation of what is today’s modern capital of Colombia. The solo exhibition will open October 28th and will run until December 17th. The Opening Reception will take place, Friday Oct 28 @10:00am. For more info on his exhibition, click here. The Musée du Touquet-Paris-Plage is organizing the first museum retrospective of the artist Speedy Graphito, one of the pioneers of Street Art in France. The exhibition employs the entirety of the museum’s Villa Way Side and takes the show back through the artist’s career, from its beginning in the 1980s (where one will find the famous poster la Rué vers l’art or the Lapinture character) to the recent works of the series “mon histoire de l’art” (“my art history”), which questions art and its legacy through a shifted perspective. You will also find his work on the “De-construction of the Image” (déchirures (tears), Atomisation, pixelisation, etc…), the series of “New Technologies” in which reality is juxtaposed alongside the virtual universe, and “Urban Pop” that celebrates the art of graffiti. Speedy Graphito, aka Olivier Rizzo, a student of the Ecole Estienne, was first known in the early 1980s by his graffito of an almost hallucinogenic and wild-haired robot character. He revisits the classics of modern art with humor and created the Lapinture creature, a zoomorphic combination of the human body and a rabbit head that runs through his work as an iconic muse. The protean artist is sometimes referred to as a “DJ of plastic arts,” as he juggles between painting, drawing, sculpture, photography, performance and video. He incorporates into his compositions new technology and popular culture (manga, video games…). Today, Speedy Graphito in “mon histoire de l’art”, interrogates the consumerist society here at the beginning of our third millennium through the omnipresence of the image and the globalization of culture. Fabien Castanier Gallery is proud to present a group show with new work from Charlie Anderson and Camilo Matiz, “Medios Sin Fin”, which will open September 8th in our Bogotá space. Camilo Matiz is a Colombian artist, who has spent his life inbetween the real and the manufactured. His artistic career has ranged from being a film and T.V. director to a fine artist, giving him a special awareness about the roll of the spectator, acknowledging its constant presence. 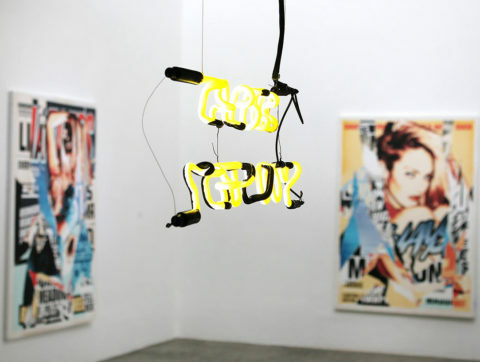 He presents mixed media pieces and installations, often using neon. Charlie Anderson is a British artist, who lives and works in London. 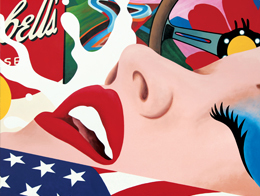 He represents the nature of contemporary culture through painting, creating works that are composed of imagery from magazines, billboards, propaganda and advertisements. By painting image on top of image and fragmenting the discernible text and forms, Anderson draws parallels to the fleeting nature of life. For more info on the exhibition, click here. Fabien Castanier Gallery is excited to announce our summer 2016 group exhibition, “Friends & Family”. The show will feature a variety of artists including: Anibal Vallejo, Diana Thorneycroft, Fidia Falaschetti, Jan Kalab, JonOne, Liu Bolin, Luke Newton, Mark Jenkins, Miaz Brothers, OX, RERO, Speedy Graphito, Stuart Semple, Tilt, Charlie Anderson, Cyrcle, L’Atlas, Thomas Canto, Flavien Demarigny. The group exhibition will be on view throughout July-August. For more information on our artists visit our Artists Page. Fabien Castanier Gallery is excited to announce the opening of RERO’s first solo exhibition in our Bogotá space, “TOMESELO PERSONAL”. The show will open June 2 and run until July 16. The artist has created a body of work based on several strategies of communication, where the intrinsic dynamics of conceptual art engage with particulars of graphic design, and where he studies different approaches to perceive the relationship that exists between language and art. His pieces are woven through the visualization of philosophical quotes, cyber and mass language that build multiple layers of complexity, which reveal a critical approach and a refreshing view on the relationship between what can be seen and what can be stated. His versatility invites the viewer to stand in scenery where the possibilities to approach aesthetic concerns resist to be abstracted, representational or merely conceptual. Introducing the Castanier Gallery STORE! Fabien Castanier Gallery is excited to announce our new e-shop, an online marketplace where you’ll find some of our most unique pieces, silkscreens, hand-painted prints, books and more! The Castanier Gallery Store will feature never before seen work from artists such as Speedy Graphito and JonOne. We will continue to collaborate with urban contemporary artists as well as present new acquisitions from the likes of Shepard Fairey and Vhils. Subscribe to the gallery’s newsletter to receive updates on our newest pieces. 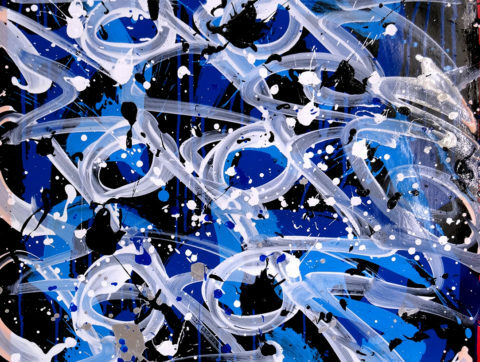 Fabien Castanier Gallery is excited to announce the third solo exhibition for renowned contemporary urban artist, JonOne, at the gallery in Los Angeles. The exhibition will open May 14 with a reception with the artist, and run until June 11. The exhibition, entitled Urban Legacy, brings together a collection of new paintings that display the most vibrant and purest style that the artist has developed over his career. Extremely influential to the new generation of urban contemporary artists, JonOne returns to Los Angeles with an exciting array of canvases that seem to breathe with the vitality and spirit of the city. JonOne (John Andrew Perello, b. 1963, New York) is one of the most significant and celebrated figures in urban contemporary art today. For the past 25 years, he has built his career on a unique blend of graffiti, gesture, abstract expressionism, calligraphy and a masterful understanding of painting’s color and texture. The artist was brought up in Harlem in the 1980s and now often invokes the revelatory moment of seeing dazzling trails of color speed past from tagged subway trains. This vivid imagery remains as an aesthetic foundation in Jon’s work, which has retained over the decades an incomparable level of dynamism. With this energy, Jon travelled to Paris early in his life and has evolved his practice from the streets to the gallery, with pieces that speak to both the realms of graffiti and contemporary art. Fabien Castanier Gallery is excited to announce our participation in two art fairs this Spring, Context New York and Art Lima. 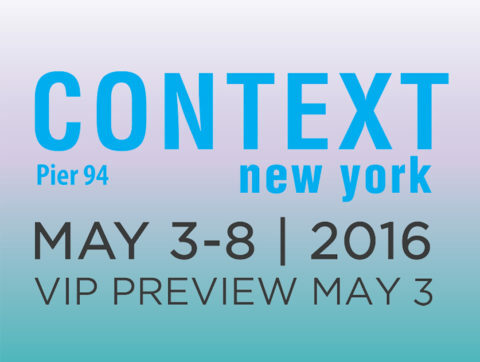 Context New York takes place May 1-8 and will feature work by Fidia Falaschetti, Mark Jenkins, the Miaz Brothers and RERO. Click here for more information. This will be the inaugural edition of the Context fair in New York. At the Art Lima fair, April 21-24, we will be showing work by Fidia Falaschetti, JonOne, Jan Kalab, Anibal Vallejo and Speedy Graphito. For more info on this fair, Click here. 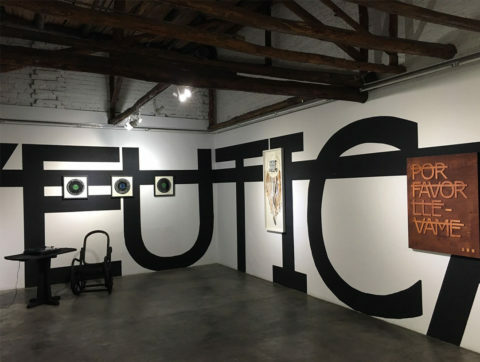 ABC features various works by the artist Fidia Falaschetti, sculpture and tapestries that oscillate between the humorous and the ironic to the critical and conventional. This exhibition sets the tone over recognizable advertisement icons and characters of children’s Disney cartoons that are manipulated with notions of misrepresentation, transcription, language, recognition and various models of figuration. ABC caracteriza diversas obras del artista Fidia Fallaschetti en escultura y tejidos que oscilan entre lo cómico y lo irónico hasta lo crítico y lo convencional. La exhibición posa su mirada sobre los íconos reconocibles de la publicidad y del imaginario infantil e ideal mundo de los figurines de Walt Disney, tocando nociones de tergiversación, transcripción, lenguaje, reconocimiento y diversos modos de figuración. Fabien Castanier Gallery in Bogotá is proud to present an event with Jan Kaláb, in conjunction with the opening of his solo exhibition, Pulso Cromático, in our Colombian gallery. Kaláb will speak about his life and work for this artist’s conversation, taking place Wednesday March 16, 2016, from 2-4pm at the Planetario de Bogotá, Sala Multiple (Calle 26B #5093). The event is held with the support of the Bogotá city government, as well as the Instituto Distrital de las Artes, Bogotá Mejor Para Todos, Red Galeria Santa Fe. Fabien Castanier Gallery is excited to announce our upcoming exhibitions for March 2016. In Los Angeles, we will present Outland, featuring new work by two contemporary Bolivian artists, Sonia Falcone and Gastón Ugalde. Both artists have represented Bolivia at several editions of the Venice Biennale and will be bringing their work – paintings, photography, installations – to Los Angeles. The exhibition will open Saturday, March 12th, with an opening reception with the artists. In our Bogotá space, we are exhibiting new work in a solo show for the Czech artist Jan Kaláb. 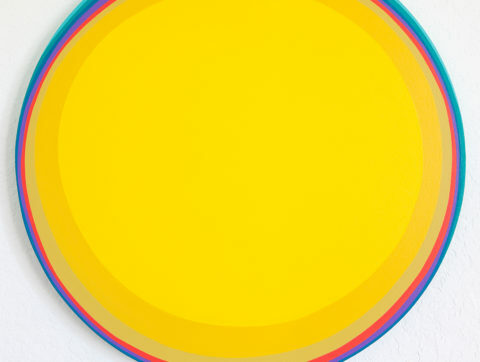 His show, entitled Pulso Cromático will feature new canvases with the artist’s signature bright colors and geometric forms. Kaláb is considered one of the pioneers in urban art in Eastern Europe following the fall of communism. 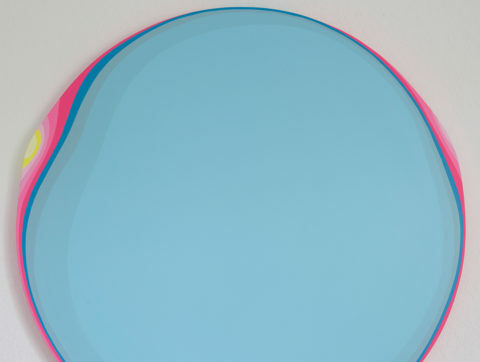 His works are almost sculptural in the way he brings his colors to the very edge of his circular canvases. 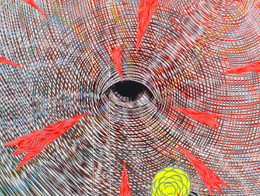 Pulso Cromático will open Thursday, March 17th, with an opening reception with the artist. Follow the links below for more information about these two shows. 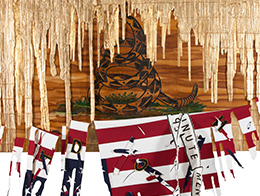 Fabien Castanier Gallery is excited to participate in this year’s Art Wynwood art fair, February 11-15. The gallery will present new work by three contemporary artists: Fidia Falaschetti (IT), Jan Kaláb (CR), andRERO (FR). 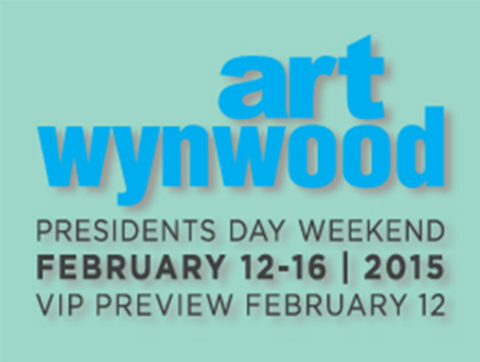 Art Wynwood, Miami’s five-day International Contemporary Art Fair, will take place during Presidents Day Weekend and Yachts Miami Beach – South Florida’s busiest holiday weekend – and will open with its highly anticipated VIP Preview, Thursday, February 11, from 6pm to 10pm, presented by Merrill Lynch. The gallery has a number of complimentary day passes available. Please contact us for more information.